When a tree's removal is required, we don't take it lightly. Your trees are a valuable part of your landscape, as well as a valuable part of our ecosystem, and removal needs to be considered with care. Alternately, a tree that poses a hazard to people and property needs to addressed quickly to minimize danger and liability. We can help you understand the best course of action to help save a tree or remove it safely. 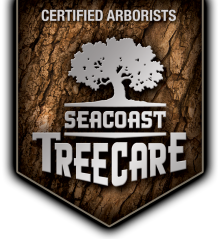 Our team of certified arborists is highly trained to assess the best course for removal. We have the talent, training and equipment that includes several size cranes, to make sure removal happens with the highest regard towards safety and efficiency. "We could not have been more satisfied with Dan and his crew - a handshaking group of professionals with an untiring work ethic."